Herb Brokering, writer, poet, activist of a subtle means, and world traveler, died this week. This is my tribute to a man who heavily influenced my life, and the lives of countless more. 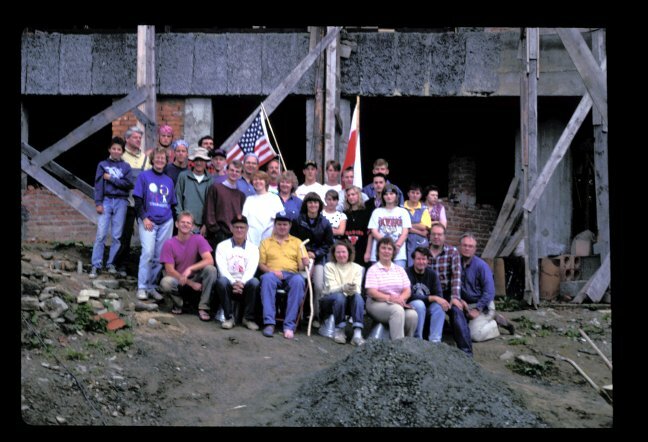 In 1993, just four years after the fall of the Berlin Wall in 1989, my family and 15 others from across the U.S. ventured to Germany and Poland under the leadership of Herb Brokering and Rolf Bell. We started our journey in East Berlin, a city whose skyline was then filled with yellow cranes, a round-the-clock effort to once again unite a people who had been torn from each other under a harsh rule. 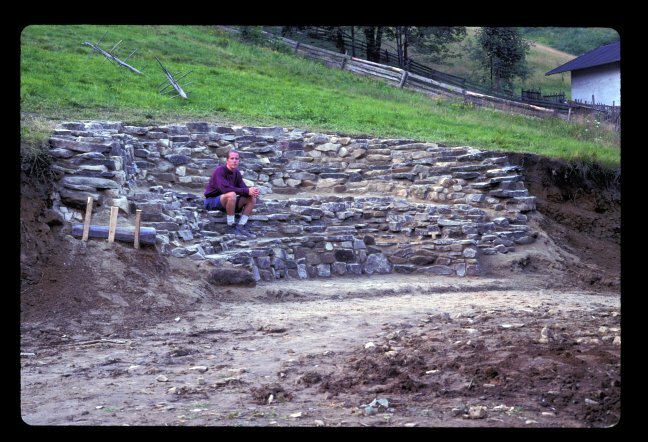 While I was fascinated by the reconstruction efforts which used computer generated models of churches to replace each mammoth, hand-carved block based upon a calculated trajectory from an unknown original position, it was the stories we received, translated from German to English by Herb and Rolf, that remain with me this day. I recall a woman in her late 80s, I believe, who told of surviving a massive fire and the subsequent years under stifling rule, always living for the day her people could again be free. Herb’s translation, even his presence was transparent, for it is her voice and her words that I recall. From those who had lived through the separation and then reunification of Germany, we learned how much had occurred, for years, behind the political and economic fronts, to bring down that wall. The churches provided some level of sanctuary, a place where people could meet and talk more freely. 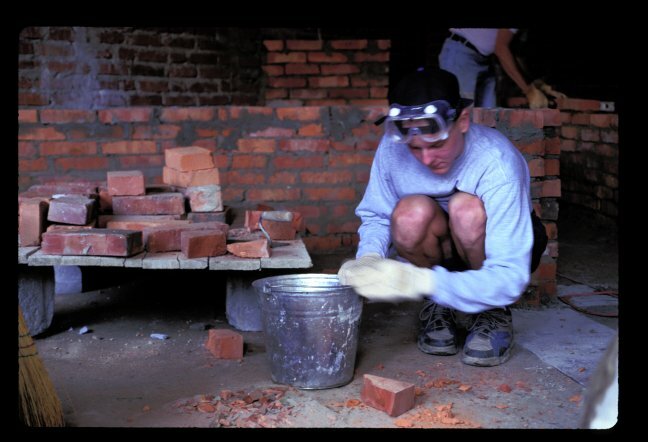 There were countless thousands of people working together, in often subtle ways, to apply pressure from the inside. We learned of candlelight vigils, marches, and protests which put people’s lives at risk, but gave rise to an unstoppable force. One night, at a theater production in Prague, the actors came to the stage and instead of performing, demanded that the attendees in the audience rise from their seats and join those outside, on the streets, in protest of that which could not be allowed any longer. They did, and the people marched. It was not Ronald Reagan’s, “Mr. 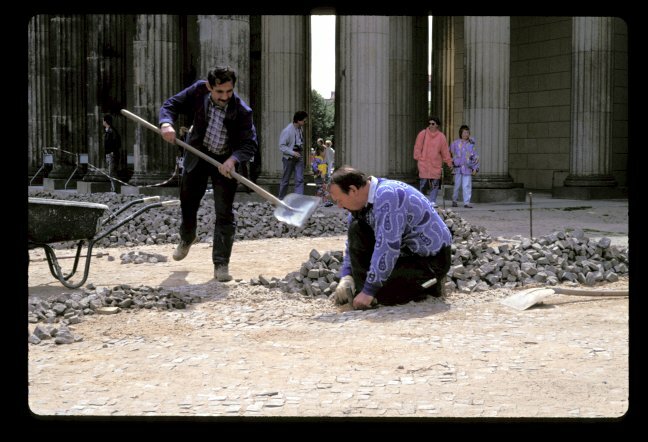 Gorbachev, tear down this wall,” speech alone, nor was it political sanctions, nor the looming shadow of military might that toppled the Wall. It was everything combined. There are countless thousands of untold stories of those who worked at a personal level, granting people the vigor, the courage, the perseverance to push through those hard times and hold on to their dream of a better future that finally gave the Wall permission to come down. Herb, as much as any president or political leader helped make this happen. He lead several trips behind the Iron Curtain in years when few were allowed into the then East block countries. He brought people together from otherwise disconnected worlds in order that their stories could be told, their steadfast determination shared, and hope maintained. Those who received the stories returned to their homelands and applied pressure from the outside, through letter writing campaigns, the retelling of stories, the application of social pressure. 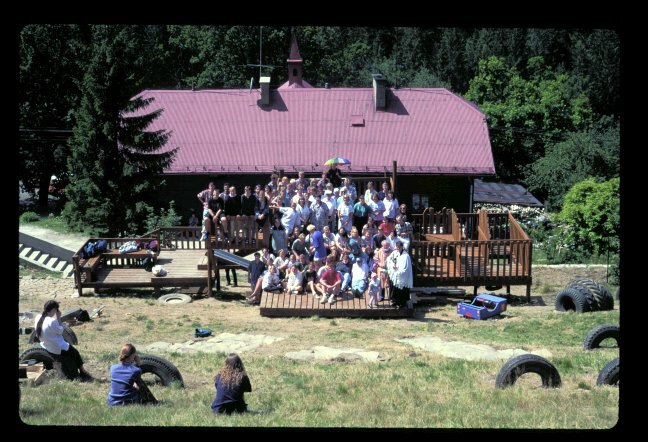 After Germany, we traveled to Salmapolska, Poland where my father, mother, brother and I worked with brick and mortar and stone to further the construction of a new church and outdoor amphitheater, presided over by energetic, fun-loving pastor Jan Byrt. 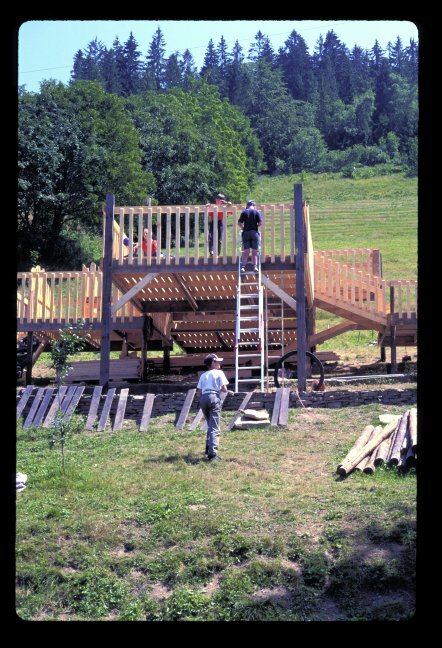 Two years later, in the spring of 1995, I traveled again with Herb to Germany and Poland where my then wife Heather and I designed and built a 2,000 square-foot playground for the same church, a massive project which involved volunteers from seven countries and a month of construction. It was Herb who worked to heal both international and personal wounds, that continues to inspire me to maintain a life of volunteer work. If I may uphold just a fraction of what Herb accomplished in his lifetime, I will have lived a good life. Thank you Herb for all that you gave to us, everywhere you traveled. CHICAGO (ELCA) — The Rev. Herbert F. Brokering, pastor, author, lyricist, speaker and hymn writer of the Evangelical Lutheran Church in America (ELCA), died Nov. 7 of congestive heart failure at his apartment in Bloomington, Minn., according to his son, Mark. “Herb Brokering’s legacy includes carefully crafted words on the lips of believers gathered around the means of grace. He has helped us bring our faith to rich expression,” said the Rev. Michael L. Burk, bishop, ELCA Southeastern Iowa Synod, Iowa City. While ELCA director for worship, Burk oversaw the churchwide “Renewing Worship” project, which developed the ELCA’s new series of “Evangelical Lutheran Worship (ELW)” resources. Born May 21, 1926, in Beatrice, Neb., Brokering graduated from Wartburg College, Waverly, Iowa, in 1945. He earned a master’s degree in child psychology from the University of Iowa, Iowa City, in 1947 and a bachelor of divinity degree in 1950 from the Evangelical Lutheran Theological Seminary (now Trinity Lutheran Seminary), Columbus, Ohio. Brokering pursued graduate studies at the University of Kiel and the University of Erlangen in Germany, and at the University of Pittsburgh. Warburg College, Trinity Seminary and Concordia College, Austin, Texas, presented Brokering honorary doctorates. Wartburg and Trinity also recognized him as a distinguished alumnus. While in Germany after World War II he worked with the Lutheran World Federation services to refugees. He served as pastor of Good Shepherd Lutheran Church, Pittsburgh; Incarnation Lutheran Church, Cedarhurst, Long Island, N.Y., and St. John Lutheran Church, San Antonio, Texas. Brokering was director for confirmation education with the former American Lutheran Church, Minneapolis, 1960 to 1970. He became a free lance educator, writer and consultant working in the United States, Europe and Japan. He wrote other popular Lutheran hymns such as “Earth and All Stars!”, “Praise, Praise! You Are My Rock”, and “Alleluia! Jesus is Risen!” Brokering co-directed the film, “Where Luther Walked” in 1981. He also taught at Luther Seminary, St. Paul, Minn., for several years. Brokering was a promoter of healing, justice and peace, leading more than 100 pilgrimages in his lifetime to places in Europe, the Middle East, China and India. The East German Ministry of Culture presented him with a peacemaking award. He authored more than 30 books for Augsburg Fortress, the publishing ministry of the ELCA, and more than 100 lyrics for almost 60 composers. “Herb was a gifted poet, author, speaker and composer. He was also a delight — a man who cared deeply about his God, his family, his many friends and this publishing ministry,” said Beth A. Lewis, Augsburg Fortress president and chief executive officer. “Herb was the youngest octogenarian I’ve ever known. Even as his body aged, his mind was young, and his curiosity and joy in living each day fully was reflected in his sparkling eyes. He will be missed by all of us at Augsburg Fortress who were privileged to work with him,” Lewis added. Brokering married Lois Redelfs in 1950. She preceded him in death in 2004. They are survived by their children — Mark, Beth, Jon and Christopher. 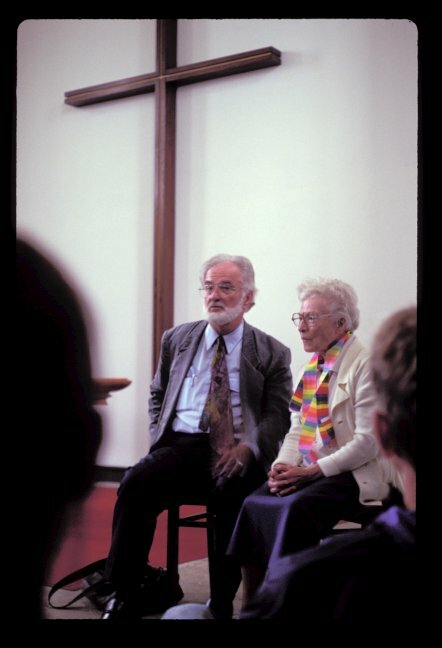 Shortly before his death, Brokering established the Herbert and Lois Brokering Healing Arts Endowment Fund at Wartburg College to support activities promoting the healing arts.